Without regular care, children can develop many of the same dental problems as adults, but they definitely have their own unique dental needs as well depending on their age and oral development. To make sure Andover’s littlest smiles stay healthy and bright, we’re happy to treat children of all ages here at Andover Family Dental. With regular checkups and cleanings, dental sealants, fluoride treatments, and more, we’ll ensure that your child is put on the path to a lifetime of healthy smiles. To schedule their next appointment, contact us today. Why Choose Andover Family Dentistry for Children’s Dentistry? The back teeth (the molars and premolars) are by far the most likely to develop cavities. This is because their wide and deeply pitted surfaces are the perfect place for plaque and bacteria to become trapped, plus they can be particularly difficult to clean for little hands that are still learning to brush. 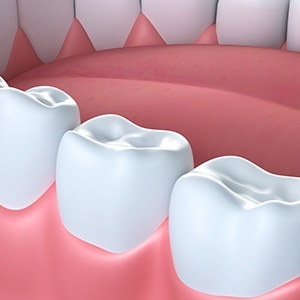 To give these teeth some extra protection, we can apply a liquid, plastic-based substance to them that will quickly harden into place, forming an invisible barrier that cavity-causing factors cannot cross. Fluoride has long been known to be a smile’s best friend. Regular exposure to this mineral strengthens the teeth and makes a person less likely to develop cavities over time, which is why you’ll so often find it added to toothpaste and public water sources. To give your child some extra cavity-fighting power, we can provide them with a topical fluoride treatment during their regular checkups. It only takes a minute, is completely painless, and it will go a long way in keeping their smile healthy between appointments. 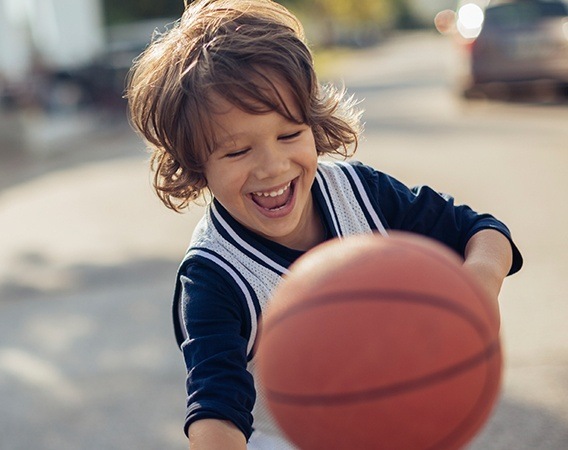 Do you have a little athlete at home? To make sure their smile stays in one piece whenever they hit the field, mat, or court, we recommend that they wear a mouthguard every time they play. 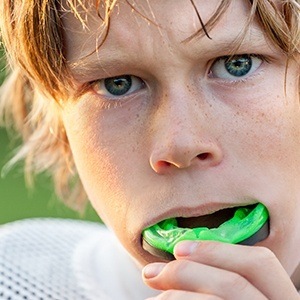 Rather than forcing them to wear a bulky “one-size-fits-all” appliance from the store, we can provide them with their own custom-made mouthguard. It will be shaped to fit their unique teeth, which will help it provide better protection, plus it will be light and flexible enough to allow for unimpeded breathing and speaking.